Ever Wonder Why Baby Boomers Are Not Loyal To Your Brand? Companies, often encouraged by legal counsel, regularly resist expressing vulnerability, sometimes at great expense. A classic example took place in the early 1980s. 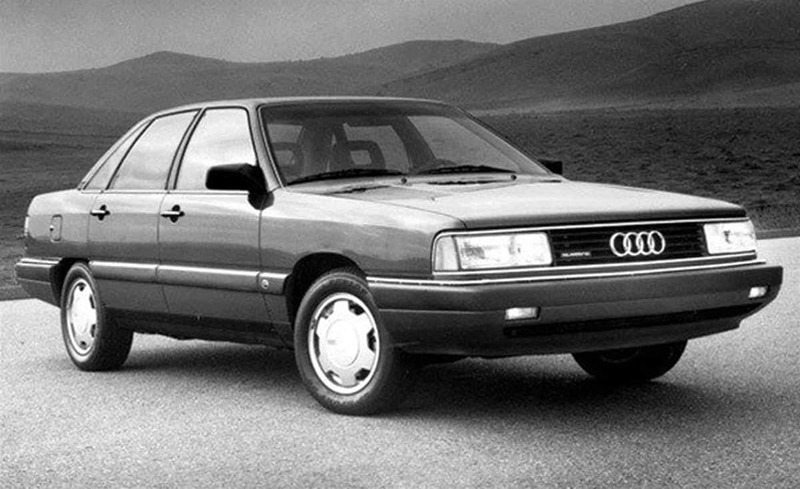 The Audi 5000 was reported to accelerate spontaneously from a stand-still without driver involvement. Audi responded with not even a token amount of compassion and vulnerability. It said simply that drivers were at fault. Audi sales in the U.S. plummeted from nearly 75,000 to barely 12,000 cars. Moreover, a little-known fact is that Audi was ultimately vindicated by the National Highway Traffic Safety Administration. It ruled that driver error did in fact cause the unintended acceleration. But because NHTSA’ ruling received little media attention – bad news gets more and bigger headlines – it took Audi more than 12 years to bring sales back to the original levels. Numerous studies have found that it costs more to get a new customer than to keep an existing customer. Baby Boomer customers are no exception. Moreover, their level of response to authenticity, honesty and the willingness of a company to be vulnerable is higher. In addition, research has shown that existing customers tend to spend more money with a company than new customers do. It makes a lot of sense to devote time to creating a book of evergreen Baby Boomer customers (the term “evergreen” can refer metaphorically to something that is continuously renewed), not only because they are likely prospects for new purchases and have the most disposable income of any demo. Boomers will also be your richest source of referrals. Companies spend lots of money doing customer satisfaction surveys. However, that’s wasted money for many companies because they don’t realize that people often report satisfaction with a product or a company but don’t have any deep sense of loyalty. You want your customers to be more than satisfied. You want them to be loyal. Satisfaction is often determined by left-brain analysis, such as coming up with an answer to this question: “On a scale of 1-10, how satisfied were you with “the product/service” you bought?” Customer satisfaction is mostly about what a Baby Boomer thinks about a company or brand. Loyalty is mostly about how they feel about a company or a brand. Satisfaction surveys tend to focus on the details of the transaction. Nevertheless, what brings Baby Boomers back repeatedly is the experience they have with a company. Toro, the giant lawn mower maker, learned that by delivering better on the emotional contract it could decrease personal injury lawsuits. Toro’s leadership once believed personal injury litigation was inevitable, given the nature of its products. However, in the mid-1990s, company reps began personally contacting injured customers. They apologetically extended the company’s sympathy and suggested that if an immediate settlement could not be arranged, arbitration could be a better than going to court. The $1.5 billion company used non-threatening paralegals, experienced settlement counselors and mediators familiar with Toro’s preference for early case resolution. Since adopting this emotionally sensitive approach in 1994, we’ve uncovered no evidence that Toro has been in court for a single personal injury case. This is a truly amazing record for a company that builds dangerous equipment that falls into countless careless hands every weekend of the year. Toro estimated it saved more than an estimated $100 million in litigation costs since it kicked off its non-aggressive approach to avoiding litigation in 1991. Isn’t the idea of the emotional contract simple common sense? Think of how things are between you and those with whom you have close relationships. When they make you feel good, you cut them some slack when they mess up a little bit. However, if you’re already down on them, aren’t you likely to call them on every mistake? Baby Boomers become evergreen customers when you have delivered strongly on the emotional contract. Thanks Jim Gilmartin, good article. As a boomer, you have very valid points. Great question “Isn’t the idea of the emotional contract simple common sense?” Sad answer may be that “simple common sense” doesn’t exist anymore. Thanks for the actionable suggestion.